Have you ever thought about taking the leap into digital scrapbooking? 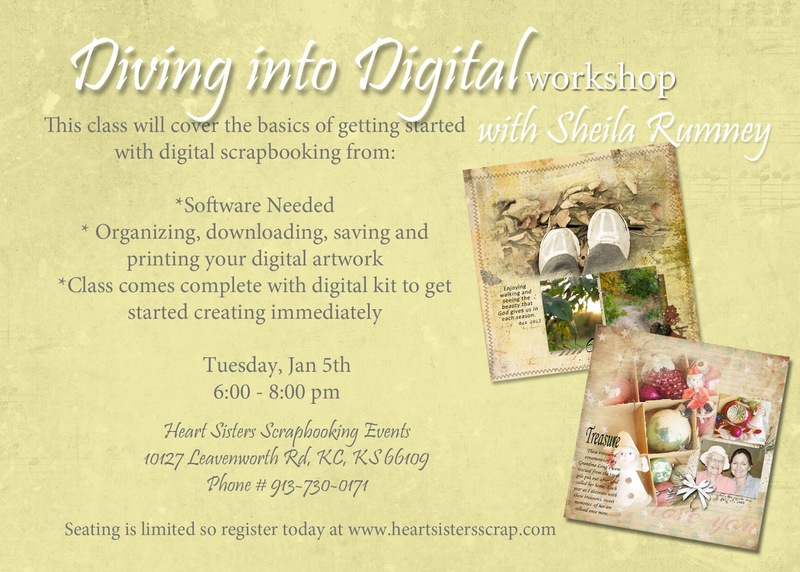 I will be teaching Diving into Digital Workshop on Tuesday, Jan 5th from 6:00 - 8:00 pm at the Heart Sisters. We will be going over how to get started with scrapbooking your memories digital. The software needed. Organizing, downloading, saving and printing your artwork. This class comes complete with a digital scrapbook kit to get you started creating immediately.